Articles mentioning the use of Standing Wave Ratio. 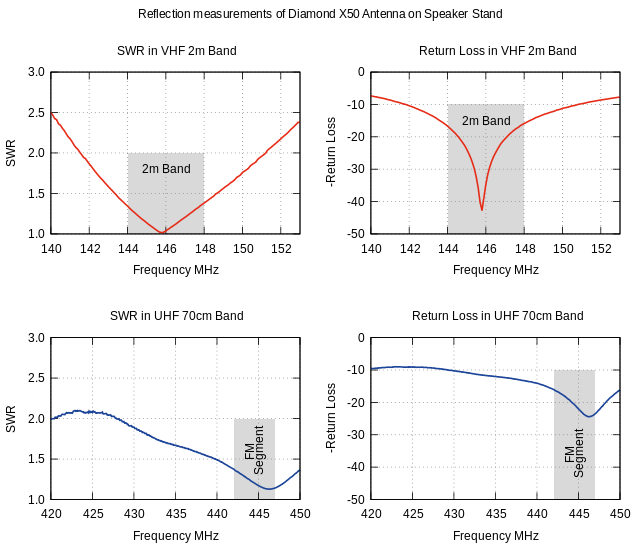 I measured the SWR and Return Loss of a loaner Diamond X50 antenna. 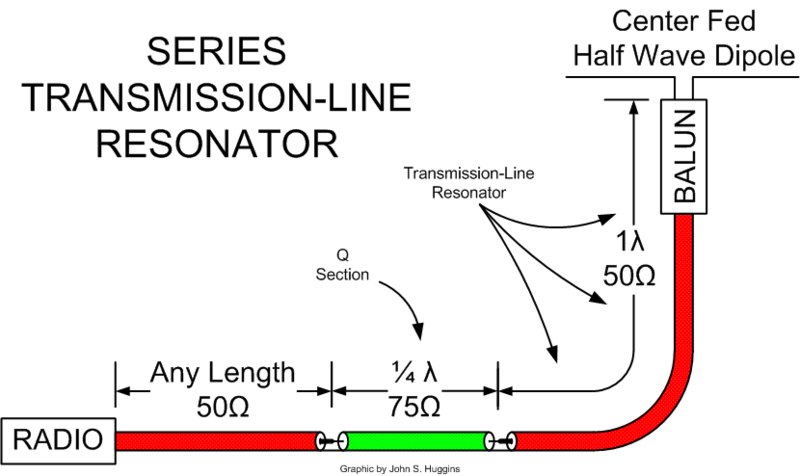 A 1/4 wavelength of 75 ohm coax inline with a full wavelength of 50 ohm coax is all one needs to make a simple 80m dipole become a wideband dipole antenna. Return Loss and SWR measurements of a permanent 2m whip installation mid-roof of a Ford Taurus. The effect of doors is shown. Furthering the discussion of the 43 foot vertical antenna I wanted to report a concern I have with this antenna and the use of any relay based coax switch. If you install a 43 foot vertical in your back yard, route the coax through a switch and handle the tuning inside your ham shack, you need to ensure you do not exceed the voltage or current limits of the relays in the switch.